Hancock St. Fire Station, Everett. 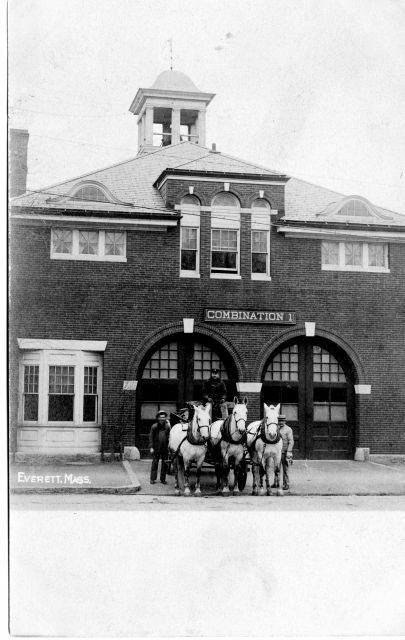 Firefighters posing with horse drawn fire apparatus. Braun, Gustav F. (? ), “Everett, Mass.,” Everett Public Library, Everett, Mass., accessed April 25, 2019, https://digitalheritage.noblenet.org/everett/items/show/35.